The County Assembly of Garissa is one of the forty-seven (47) County Assemblies in Kenya established under Article 176 (1) of the Constitution of Kenya. 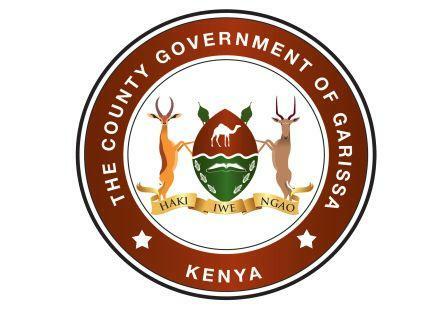 Section 4 of the County Assembly Service Act establishes County Assembly service Board which is an institution of exemplary administrative and technical competence. The County Assembly Service Board among other functions constitute offices in the County Assembly service, and appoint office holders. Management and approval of all Assembly payments. Administer preparation of County Assembly budget and monitoring absorption of budgeted funds. Oversee preparation of Annual Accounts or financial statements and maintaining all accounting records. Liaising with Human resource and administration department in management of County Assembly Payroll. Supervise management and administration of loan funds to staff and county assembly members and ensure proper application of loan funds. Served for at least 5 years cumulative experience in a finance or Accounting Office, three (3) of which must be at the grade of Principal Finance Officer or Principal Accountant or its equivalent position in a public institution. Bachelor’s Degree in the following fields: Commerce (Finance /Accounting option), Economics, Business management, Business Administration or any equivalent. Master’s degree in a relevant field will be an added advantage. Must be a member of the Institute of Certified Public Accountants of Kenya (ICPA-K) will be an added advantage. Attended senior management course in a recognized institution or it’s equivalent. Demonstrated a high degree of professional competence, administrative capabilities and initiative in the general organization and management of finance resource. Shown merit and ability as reflected in work performance and results. Possess sufficient knowledge of public procurement, budget preparation and overall management of the County Assembly. Meets the requirements of Leadership and Integrity set out in Chapter six of the Constitution. Persons interested in filling the above positions should submit applications accompanied by a Curriculum Vitae, certified copies of relevant Academic and Professional Certificates, National Identity Card or Passport, and other relevant supporting documents. Applications may also be hand delivered to the Office of the Clerk of County Assembly located at the County Assembly building, along Posta road, so as to reach him not later than the 10th of August, 2018, at 12.00 Noon.